To review, and to set the tone for this discussion, here is the passage of interest from Plato's Timaeus. “As for those genealogies of yours which you just now recounted to us, Solon, they are no better than the tales of children. From past weeks, we have seen that there are numerous ancient and lost civilizations which met their end due to these cataclysms. Three of these were Egypt, Gebekli Tepe, and Lemuria. To hear about these subjects, watch the show Disclosure on GaiaTV with John Anthony West, Graham Hancock and David Wilcock. See the links below. Many will find it interesting to know that discoveries of ancient cities such as these can be found in mainstream media, but instead of receiving the attention they deserve, they are often dismissed as trivial. Some believe this is due to the potential threat to mainstream history that they pose. Others believe that their revelation may bring an end to the technological monopoly which seems to be in place at present. There are a number of possible reasons behind such secrecy, but the one thing we can be sure of is that there is much to be uncovered regarding them. 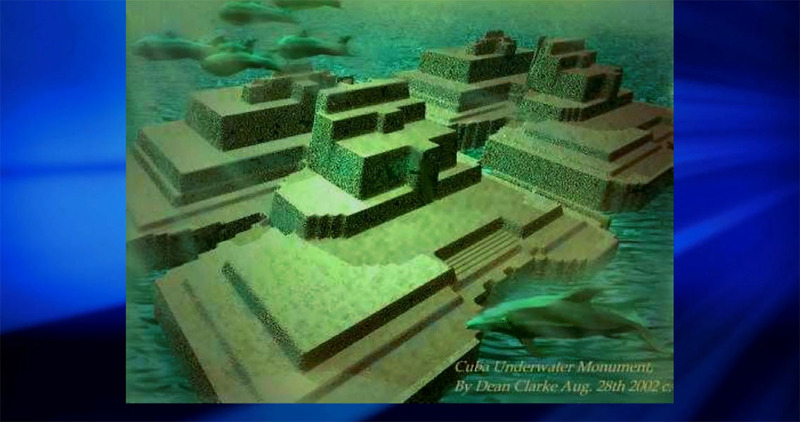 One of these lost cities may have been found off the coast of Cuba. 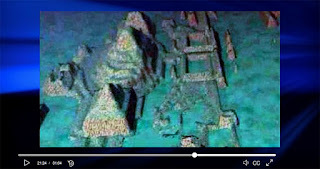 The story of this discovery was even covered by BBC on December 7, 2001. Here is what they had to say. “A team of explorers working off the western coast of Cuba say they have discovered what they think are the ruins of a submerged city built thousands of years ago. 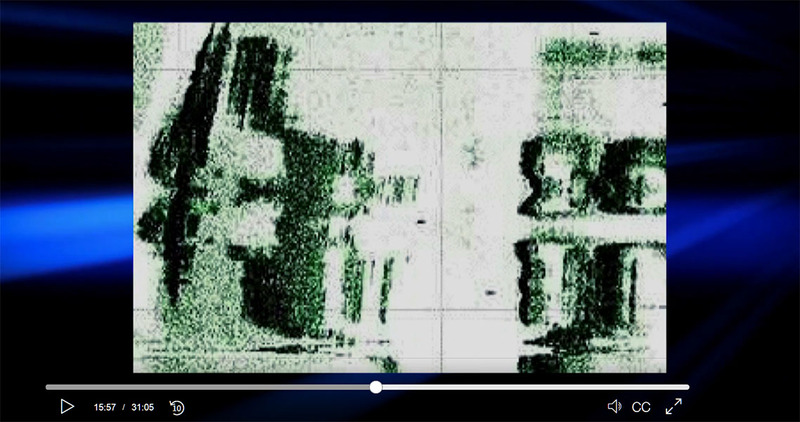 Researchers from a Canadian company used sophisticated sonar equipment to find and film stone structures more than 2,000 feet (650 metres) below the sea's surface. They say they still do not understand the exact nature of their discovery, and plan to start a thorough analysis of the site - off the tip of the Guanahacabibes Peninsula - in January. As we can see, this is not pseudo-science. It is not conspiracy theory. This is potential evidence that has been deliberately ignored by a scientific establishment which seems to believe that blind preclusion is a sound method of determining fact. You may find that when attempting to research this subject for yourself, blind skepticism is more popular the actual scientific methodology. It is common that this skeptics and nae-sayers receive most of the attention each time new, unprecedented discoveries are made. Often, when these discoveries contradict the established understanding of a particular scientific field, they are ignored or excused away as irrelevant. Consequently, each time we try to uncover anything beside what is considered "mainstream", we find this pseudo-religious skepticism in greater quantities than the actual data. To give a real-life example... In my search for “Advanced Digital Communications”, the first hit I came to was an average skeptic site. It had the usual tone of criticizing scientific “deviants” who have the nerve to think for themselves, and gave them their due spanking for their none-conformity. This is not credible skepticism. This is more likened to sheep-dog thought control, in my opinion. Despite the nae-saying of the untrained and unprofessional, the evidence we find is “robust” (to use Wilcock's description). Upon first reading this material, Wilcock describes how he was not yet completely familiar with the topic, but that it still interested him. As the story goes, Paulina Zelitsky was the head of a research team called “Advanced Digital Communications” back when this discovery was first made. (Though I couldn't find an exact date, logic suggests that the BBC article was written soon after this discovery.) Paulina's teams was hired by Fidel Castro to search for treasure that would have been lost during the old, maritime trades. As Wilcock described, during these trades (circa 1600's to 1800's) when the Mezzo-American conquest was taking place, there were large amounts of gold being plundered by the Spanish, Portuguese, the French, and other maritime powers. This gold was being shipped out from Mezzo-America, often being smelted into coins for the purpose of tracking. This coinage was then taken back to Europe, but often these ships would be robbed by pirates (which as Wilcock mentioned, were actually the Knights Templar, who were also connected with Scottish Rite Freemasonry). So Paulina's team was searching for any treasure that may have been lost. The deal allowed her to keep 50% of any valuables that the team found. 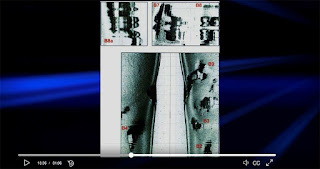 This research team used a technology called “side-scan sonar”. 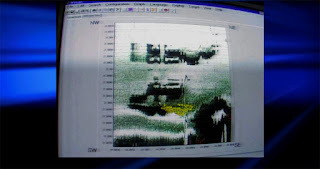 This technique uses an under-water, sonar device suspended from a line which takes horizontal scans of the ocean floor. 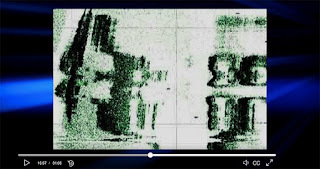 These scans are then pieced together to create decipherable imagery and 3D computer reconstructions. This side-scan technology is commonly used by fishermen to find where the prime locations are to cast their nets. 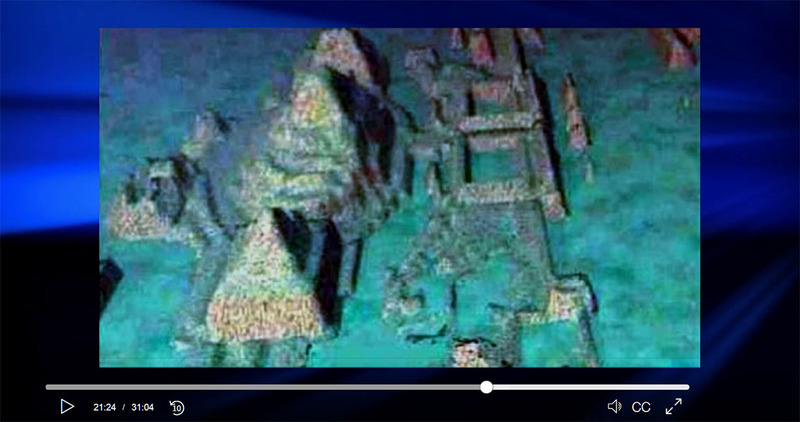 When Paulina's team took scans of an area they believed to be a likely sunken ship, they found something much different. There were schools of fish, yes, but there was also something else which was clearly visible in the instrumentation. We see “rectilinear geometry”. There are right-angle turns everywhere, just like in modern-day architecture. These are exactly what a person would see if they were to scan an average city block with this technology. The images labeled "B2", "B3", "B4", and "B9" may be of greatest interest. We can see the foundations of buildings, wall-like structures, and numerous objects that cannot be explained by natural rock formation. Keep in mind, this is half of a mile below sea level (2,200 feet). Given the depth of this location, this site had to be at least 12,000 years old, before the last ice-age. That is the only way the site can be explained. This is a point of contention among researchers and mainstream scientists. It is typical that when data defies the conventional standard, the data is thrown out. So upon making this remarkable discovery, Paulina signed a deal with National Geographic which was supposed to allow them exclusive rights to the airing of this information during the summer of 2003, but National Geographic never aired the story. They ended up burying the information, and since Paulina signed a non-disclosure agreement, she was not allowed to share the images her team recorded. However, Paulina was able to interview with Linda Moulton Howe and various others on this discovery. Here is an image taken off of Paulina's computer. She wasn't allowed to show the images themselves, but by a loophole, she was able to show images of the images. Again, we see right-angle turns. If there were no issue with National Geographic burying this scientific data, it might not be much to consider. However, if it threatened the establishment to the point where people felt that it must be hidden from the public, this means there may likely be something to it. So after finding this data, the team decided to take a closer look at these structures. These waters are too treacherous for any scuba-diver to traverse. The pressure is too great, and the currents are too strong. The only way to view the ocean floor at this depth is with a submersible equipped with a video camera and spot light. Here is what they recorded. This is an image from the video data retrieved from this site. 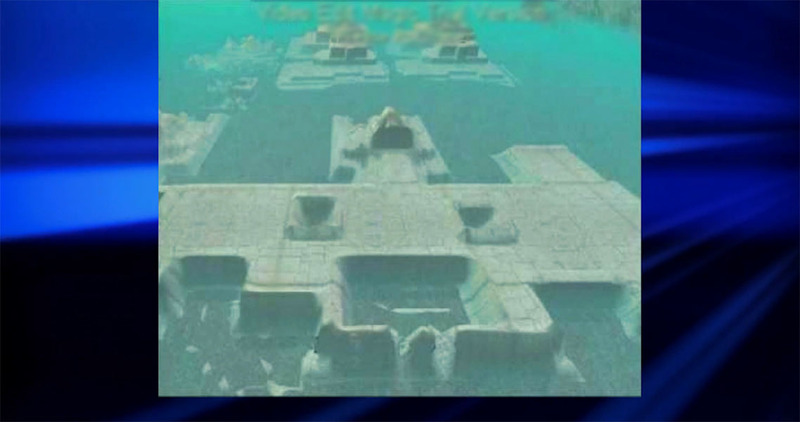 We can see pyramids, linear architecture and what are most likely the foundations of buildings. Here is a computer reconstruction of a structure that resembles a temple of some kind. We can also see what look to be sphinxes in the background. These are buildings and structures that could not have been above the surface of the water unless they existed before the last ice age. Here is a better view of these sphinx-like structures. The difference between these and the more-familiar Egyptian sphinx is the head, as well as the third paw-like protrusion at the base, near the front. This is an image of a series of temple-like structures. 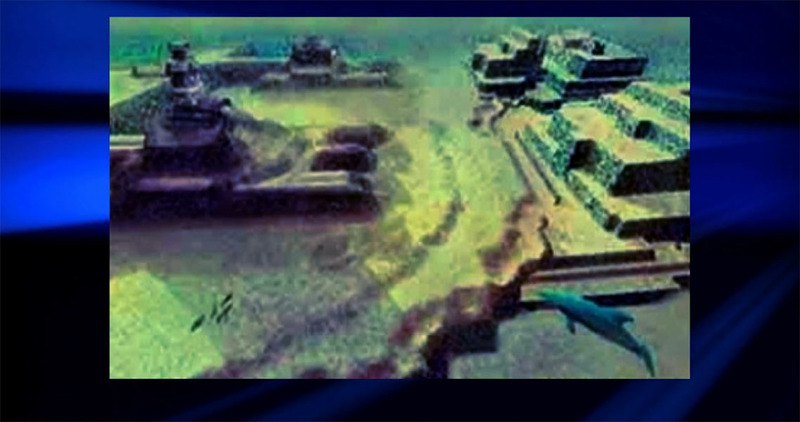 The complex was massive in size and consisted of multiple structures which bore many similarities to other lost civilizations we find globally. Though this evidence is extensive, according to David Wilcock, it is only the beginning of the evidence Paulina has in her possession. On top of these images, David describes how he was contacted by a woman who, at the time, worked at the Guantanamo Bay. The story went that this woman was at a regular cookout with barbecue included. She was simply standing there enjoying her time when a drunken Navy seal walked up and started talking to her. One memorable statement (the first of many) that came out of his mouth was, “You know, we found Atlantis down there”. During the Cuba Missile Crisis, there were multiple missions involving submarine reconnaissance taking place around the island of Cuba. During these missions, the teams stumbled across a site that had sphinxes, pyramids, and multiple stone structures. Upon finding this site, preparations were made, and an investigation ensued. Teams were sent in, and as they were, they found notable technology within the buildings. According to Wilcock, in order to mount this expedition, these people most likely built a large dome around the structures, pumped out the water, and pressurized it before going inside to explore. As they did, they were amazed at what they found. They actually found working machines that were still operational after 12,000 years. Some of the lights were actually still on. This woman's testimony would add a significant piece to the puzzle. According to the Law of One text, this civilization must have been built around 50,000 years ago, during the beginning of the age before the current 25,000-year cycle (the end of the 1st cycle). These were the souls who were refuges from the Martian transfer. To review, here is the Law of One on what was happening on Earth at this time. 21.25 Questioner: Just to quickly refresh my mind— how many years ago did Lemuria suffer its catastrophe? 21.26 Questioner: Did you mean to say master or major cycle? 21.27 Questioner: Thank you. Then did the ending of this first major cycle have something to do with the destruction of Lemuria, or did this destruction just happen to occur at the end of that cycle? According to the text, this is most likely Lemuria. It is alleged to have been built within the same time frame as Lemuria, and there were only so many major civilizations who had pyramid technology at the time (though these pyramids were more common then than they are in modern times). This passage basically sums up the information covered in passed episodes regarding the Mars transfer. Some may not realize this, but there is actually an additional chapter in the Law of One text that wasn't initially published. A project which was dubbed the "Re-listening Project” was undertaken in an attempt to reconstruct this lost text. It turned out that Carla Rueckert removed a chapter from the text because she thought that it was too shocking for people to hear. This is the subject of what the Law of One refers to as the “confluence of energy”. Next week's episode is set to continue on this topic. For the complete text of the Law of One, go to http://www.lawofone.info/ . 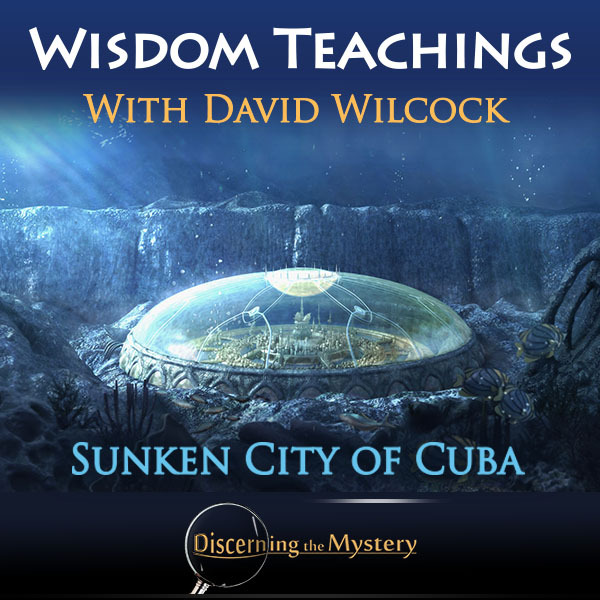 Click here to watch the episode, Wisdom Teachings: Sunken City of Cuba .